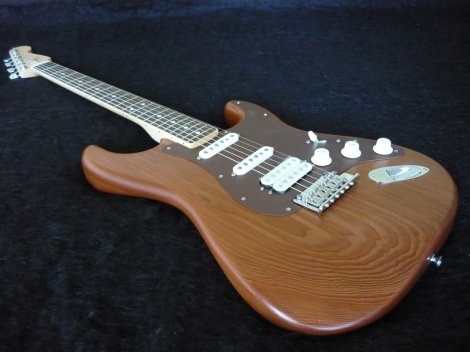 Fender's special edition Reclaimed Old-Growth Redwood Stratocaster combines rustic charm with elegant features. Its body is fashioned from reclaimed old-growth redwood used in the 1933 construction of road bridges spanning Walker Basin Creek and Caliente Creek, just east of Bakersfield, Calif. 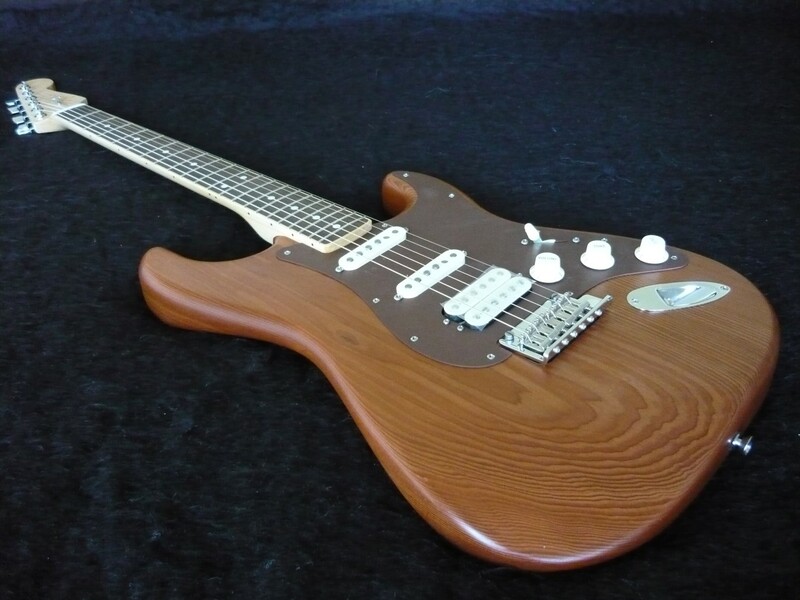 The bridges were Civilian Conservation Corps and Civilian Works Administration job creation projects implemented to ease unemployment during the Great Depression; both aging structures were decommissioned in 2012, with some of the timbers acquired for this special Fender Special Edition Stratocaster model. A wealth of other fine features includes a maple neck with a comfortable "modern C"-shaped profile, special channel-bound rosewood fingerboard with compound radius (9.5"-14") and 21 medium jumbo frets, single-ply brown anodized aluminum pickguard, and a handsome hand-rubbed oil body and neck finish that accentuates the beauty of the wood. The HSS configuration consists of two American Vintage single-coil '65 gray-bottom pickups (neck and middle) and a Fender Diamondback™ humbucking bridge pickup, with five-way switching. Other features include two-point synchronized tremolo bridge with bent-steel saddles, Micro-Tilt™ neck adjustment, laser-etched headstock logo and more. Hard-shell case, strap, cable and polishing cloth included.